There was a break in the humidity this weekend which allowed us to take advantage of weather to do a lot of little chores in the garden. I am a bit worried about the potatoes as the leaves are looking a worse for wear. After some research I realised that we aren’t given enough nutrients for them. Hopefully I can get that sorted this week. Still no sign of the parsnips. I mean none sprouted. I find it really strange so I’m wondering if the packet of seeds was any good. Keeping fingers crossed we chased off the rabbits again this year. We were dealing with squirrels and the rabbits snuck in. One was bold. I ran towards it making all sorts of noise and it just looked at me. Guess I need to work on my technique. After several hours of puttering about I was in the mood for a hearty lunch. I had an avocado and some homemade ciabatta bread so it was a small leap to eggs benedict. Makes sense, right? As delicious as this meal is there is some of juggling with the prep to get it all done at the same time. I made a half recipe from the Fanny Farmer’s Cookbook as a 1/2 cup was enough. Set up the ciabatta to be toasted and buttered, then set up the eggs to be poached. If you are new to hollandaise sauce definitely use a double boiler. When I started I didn’t have one and so learned in a small saucepan. In the pan over very low heat whisk two small egg yolks. These need to be whisked but not so much you scramble them. Add a tablespoon of lemon juice and slowly add 1/8lb of melted butter while stirring. Slowly add a tablespoon of hot water, dash of cayenne pepper, and salt to taste. Stir for a minute or so until thickened. 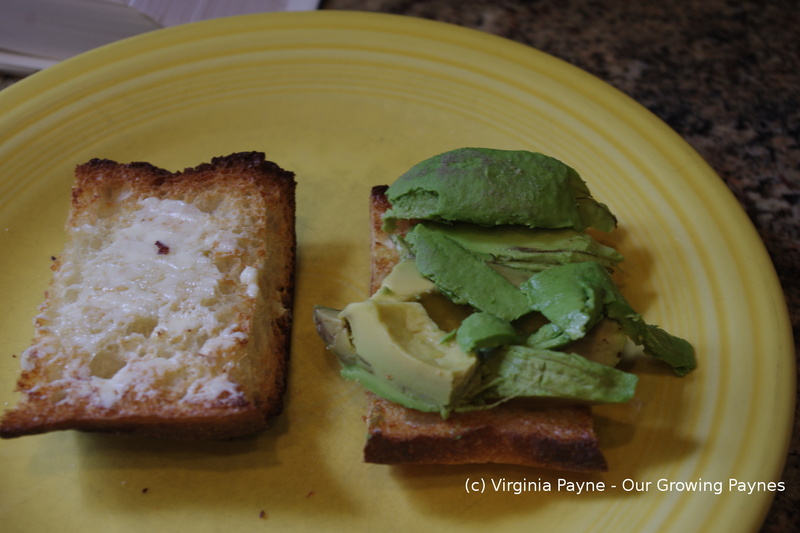 Layer the bread, avocado, poached eggs, and the sauce. Season with salt and pepper. This is such a treat when the egg is cut into and the yolk blends with the hollandaise sauce. After a hard morning working in the garden this was a great reward. 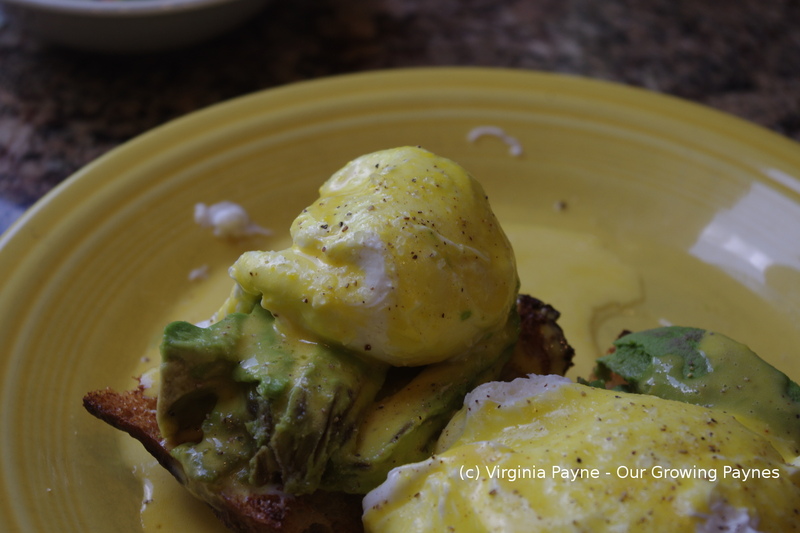 This entry was posted in recipes, Uncategorized and tagged avocado, ciabatta bread, eggs, eggs benedict, hollandaise sauce, poached eggs. Bookmark the permalink. The best recipes often come from what is in the pantry or the refigerator. Looks delicious. YUM. I would have these on a humid day as well!! !